From Griz Days to Snow Cats, this is what’s happening in the mountains near Calgary in the upcoming weeks. Of all the mountain-town winter festivals out there, Griz Days in Fernie is at the top of the pile. Built around the legend of the Griz, a half-man-half-bear patron saint for local snow adventurers, the 42nd annual festival, which runs Friday, March 1 to Sunday, March 3, will celebrate the “Canadian Tuxedo” with a “gone denim” theme. Events happening of the course of the fest include the Griz Days Parade down 2nd Avenue in Fernie, the Extreme Griz Challenge to crown the King and Queen of the Mountain, a lumberjack show, live music, beer gardens, fireworks, a dummy downhill race up at Fernie Alpine Resort, family stuff like the Griz Baby Crawl, and more sheer lunacy for all ages. For a full schedule of events visit tourismfernie.com/events/griz-days. Castle Mountain Resort’s Powder Stagecoach cat-skiing started offering sightseeing tours on Saturdays this season (they’re running the tours until Saturday, March 16). Guests board the snow-cat from a staging point at the top of the resort’s Huckleberry Chairlift, and from there are driven up into the high-alpine areas to enjoy incredible views. It’s basically the same route that the snow-cat takes when it has a load of powder-hound skiers and snowboarders on board, but the difference in this case is that everyone on the tour gets back in the cat to ride down. Yes, that might sound ludicrous if you’re a seasoned backcountry skier, but for those who don’t ski or snowboard, or don’t ski or snowboard well enough to do the cat-skiing experience, cat-sightseeing is the next best thing. The Deer Lodge in Lake Louise has a great happy hour going on right now in its historic Caribou Lounge. Every day from 3 to 5 p.m. all Alberta craft beers, glasses of prosecco and Aperol spritz cocktails are $6. Plan to head there after an invigorating skate on Lake Louise or snowshoe on the nearby trails. Alpenglow is a term that describes the pinky-reddish hue the summits of mountain peaks often take on just before sunset. Seeing the mountains bathed in alpenglow can take your breath away, so it makes sense they’d want to celebrate it up at the Banff Gondola with the Alpenglow Festival. Running Fridays and Saturdays from 4 to 8 p.m. from now until April 13, the Alpenglow Festival will feature an outdoor igloo, a s’mores station, signature Alpenglow cocktails and, of course, that view. Fresh off of hosting the Freeride World Tour in February, Kicking Horse Mountain Resort has opened a huge new 600-acre section of expert-level terrain to the public. If you’re a green-run beginner, or even a blue-run-cruiser skier, the Ozone won’t be your jam (it’s classified as “double-black extremely advanced”). But if you’re ready and able for a challenge, this is where you want to be. 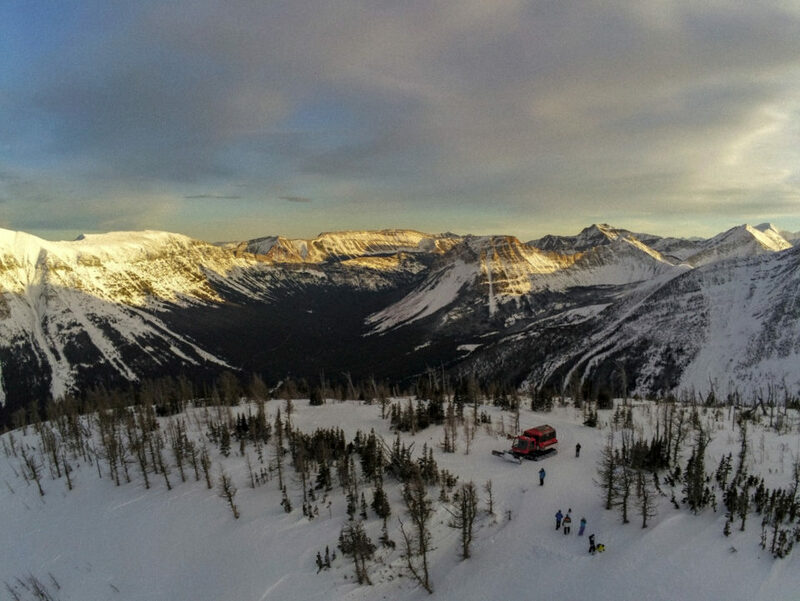 Norquay ski resort’s starlight dinner series is back this season. The five-course fine-dining events take place at the Cliffhouse Bistro, a historic dining space perched up on the mountainside at 7,000 feet with a view of the town of Banff below. To get up there involves riding the Norquay’s North American chairlift, an exposed double-seat lift (they give you blankets for the ride) that offers its own thrill. Upcoming dinners are on Feb. 23 and March 8; tickets are $169 per person. For more information call 403-762-4421. Lake Louise Ski Resort is hosting Iron Legs for Charity on Sunday, March 10. The fundraiser for the Canadian Mental Health Association will involve participants competing to do the most laps of the Summit platter lift between 10 a.m. and 3 p.m. You can enter solo or as part of a two-to-four person relay team and there’s a category for youth 15 and under as well. Registration cost is $30 per participant. Once you register, you get a fundraising pledge form from the CMHA. There are prizes afterward for those who do the most laps and raise the most money. Participants receive a 20-per cent discount on their lift tickets. For more information call 403-522-1316. 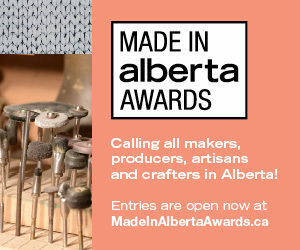 While this is technically not in the mountains, it’s worth including on this list since it’s such a genius way to celebrate the wintertime in Alberta. On Saturday, March 16, Pigeon Lake (about an hour’s drive northwest of Red Deer) will host its 23rd Annual Ice Golf Tournament. Like the non-frozen version, ice golf involves trying to hit a ball into a hole in the least number of shots. In the ice version, however, the balls are bright colours so you don’t lose sight of them, the greens are made of green carpets and the tees are set up on mounds of snow. The tournament will have three nine-hole courses on the lake at Mulhurst Bay with hole-sponsor hosts, a chipping game, bonfire and post-golf dinner and festivities at the Mulhurst Bay Community League Hall. Being so close to St. Patrick’s Day the event has a green theme and costumes are encouraged. Golf-plus-banquet tickets are $69; banquet-only tickets are $39. For more information contact the Pigeon Lake Regional Chamber office at 780-586-6263. Banff Sunshine Village Ski and Snowboard Resort is getting into the spirit of St. Paddy’s Day with a treasure hunt on Sunday, March 17. If you find a leprechaun or clover hidden somewhere on the mountain, you can redeem it for a prize at the offices down at the gondola base. The resort will also have green beer that day at Mad Trapper’s pub. SilverStar Mountain Resort near Vernon B.C. is hosting it’s first annual Seismic Spring Mountain Festival this year from March 22 to 31. The 10-day festival is taking a page from the long-running Whistler Ski and Snowboard Festival playbook, with seven ski, snowboard and bike competitions giving up $50,000 in cash and prizes, an art exhibition, comedy show, beverage gardens and DJs in the village areas, live music and more.